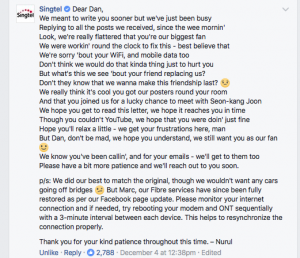 Props to Singtel’s social media team for handling this like a pro. 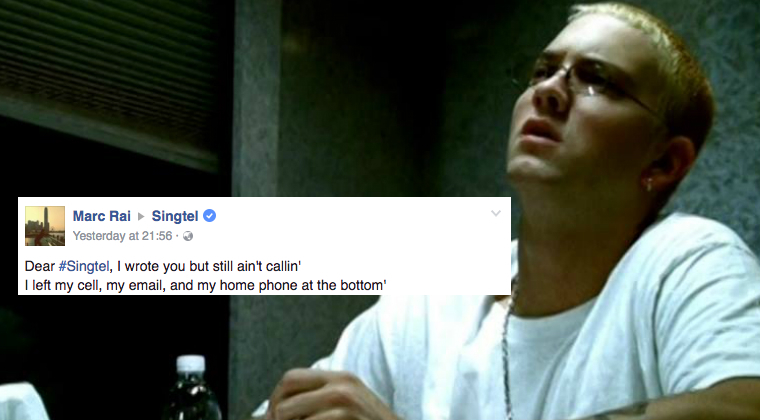 I love social media wins like these and they rarely come along. 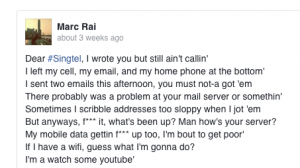 For a big corporate telco that has responded in such a witty manner, it’s definitely won plenty of new fans and placated a disgruntled customer.